The government has watered down a number of rules in its procurement process for T-levels following outcry from the sector – but it’s unlikely to appease the Federation of Awarding Bodies’ legal action. The draft invitation to tender for awarding organisations was published by the Department for Education today. It follows two market engagement events last month left AOs fuming over the terms they would have to agree. 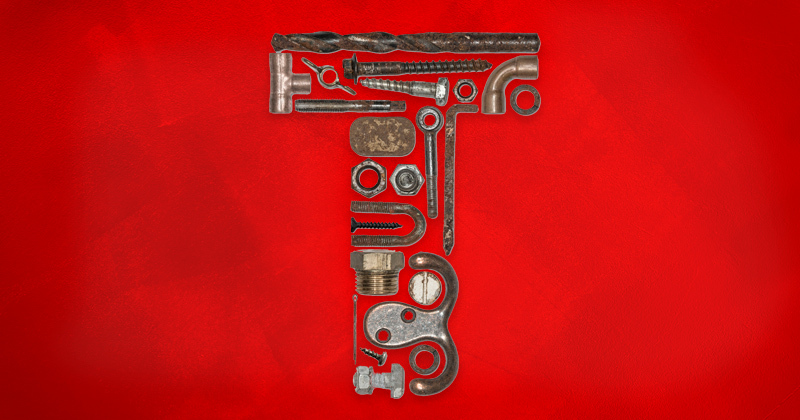 Original rules led to the FAB threatening the department with a judicial review as they felt their ownership of the T-level content they will have developed would be limited. Launching the draft invitation today, the DfE said it had “listened to feedback from AOs” and made a number of changes in response. “Suppliers may use their own branding on materials used in connection with the TQ, including student or employer facing materials (e.g. exam papers) required for the T-level,” the department said in the draft document. 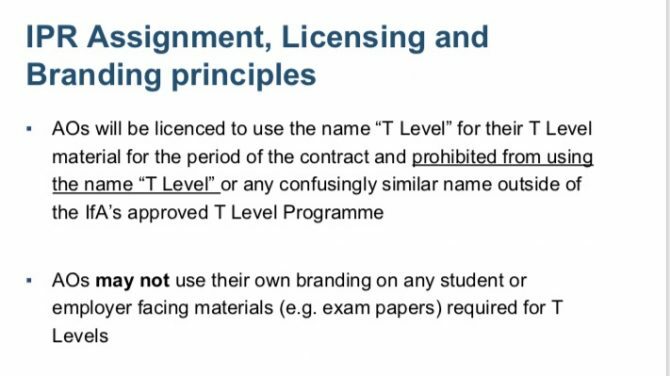 This is “subject to meeting the specified rules on joint branding aimed at ensuring that the T-level brand remains a distinct brand, and that a T-level is clearly seen to be part of a T-level programme run by the authority, and to be the same T Level when offered by a future supplier”. Similarly, intellectual property that goes into the technical qualification element will be allowed to be used abroad separate from the T-level programme. Tom Bewick, chief executive of the FAB, said this addresses “some of the concerns we raised about the damage that could be caused to the export potential of awarding body expertise post-Brexit”. He added: “We note the inclusion of consortia arrangements being made more explicit in the ITT and that government will allow them to deliver T-Levels, provided they are licensed as a single entity. We in fact put this idea to government. Other changes include allowing development fees be paid in installments rather than one lump sum, as well as indexation of fees being permitted. The deadline to provide feedback to the draft invitation to tender is August 13. The final tender will then be published on September 3 and the submission deadline is October 30, 2018 – a timetable of just over 8 weeks. The FAB’s legal challenge is based on more than just the procurement. It believes timescales for implementation are unrealistic and there will be a disproportionate impact on the awarding sector. FE Week understands the watering down of the procurement rules will not deter FAB and they await the DfE’s response to their judicial review letter, which has a deadline of July 31. The federation will then consult members about issuing a claim. “What we need from ministers is acknowledgement of the need for a more proactive approach on consortia models, working closely with the industry, to encourage the sector to come forward with real workable arrangements,” Mr Bewick said today. Education secretary Damian Hinds didn’t hold back in his reaction to the threat of a judicial review last week, labelling it as “deeply disappointing” before telling awarding organisations to “focus their energies” instead on making T-levels a success. Offering her reaction today, skills minister Anne Milton said: “We have always taken a collaborative approach to developing T-levels and have been in regular contact with the sector about this procurement. “We held two engagement events in June about the competition and provided advice on preparing high-quality bids. Today we are also sharing the draft procurement documents to give awarding organisations a genuine opportunity to influence how the procurement works. The legal battle started in a whirlwind week, after Ms Milton made the national papers by admitting that as a parent she would tell her children to “leave it a year” before studying a brand new qualification like T-levels. It all followed a rare ministerial direction from the education secretary in May, when Damian Hinds refused his own permanent secretary’s request to delay the initial rollout of T-levels until 2021. These T Levels are starting to remind me of AVCEs! Perhaps the government should stop messing about with education and just play to existing strengths; we already have good quality vocational qualifications (e.g. BTEC, IMI, C&G) why do we need another raft of qualifications which might well be a huge waste of money?